Washington – Working families seeking relief from growing childcare costs could have greater access to low-cost, high-quality child care under new legislation introduced today by U.S. Sen. Bob Casey (D-PA), U.S. Reps Joseph Crowley (D-NY), and Lois Frankel (D-FL). The Child Care Access to Resources for Early-learning Act (Child C.A.R.E. Act) takes important steps to address a national crisis, the exponentially growing lack of affordable childcare. In the last 30 years, average weekly childcare expenses have grown by more than 70 percent and federal support has almost nothing to offset the increase in costs. 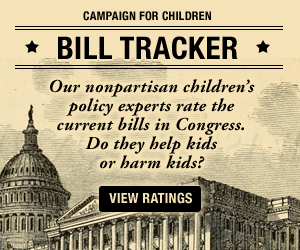 By 2021, the C.A.R.E Act seeks to guarantee access to child care for every parent that earns up to 200 percent of the federal poverty level and has an infant and/or a toddler by increasing mandatory funding for the Child Care and Development Fund, the federal program responsible for child care funding, services, and quality control. Providing parents and child care providers with adequate resources to support high quality early care and learning for children under age 4. Ensuring that there is a continuum of quality early learning within states and tribes, starting with prenatal care and continuing into the early years of school. The lack of affordable childcare for low-income families means that many parents have to juggle parenting and a career, don’t get to fully participate in the U.S. economy, and many others never reach their educational goals. Many women are forced to leave work to take care of their children, and employee absenteeism from lack of child care comes at a price of $3 billion per year to U.S. businesses. Read the complete First Focus analysis of the legislation.